Well, well, well… this is my first official blog post! 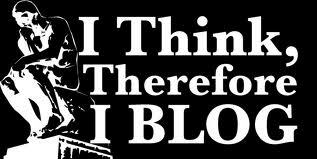 So, why am I blogging? What in the world is my blog about? Glad you asked. Admittedly, I am not a “deep” person who will provide you with insightful explanations of newfound esoteric knowledge. I’m just a practical chick with a lot of wit. I will, however, shed some light on various topics (from faith to finances) in a practical way that will (hopefully) empower you to grow as an individual. I have tossed around the idea of blogging for a while now, but wasn’t sure what my “platform” should be. I am a financial advisor by trade, so would I only blog about money? I am an Heir of Salvation and a Pastor’s Wife, so should I limit my blogging to spirituality and religion? Oh, woe is me… seems like everybody and their Mama is already blogging about everything under the sun. Would anyone care to read my little posts? Should I even bother to have a blog of my own? This entry was posted in RANDOMly Me by The Practical Chick. Bookmark the permalink.